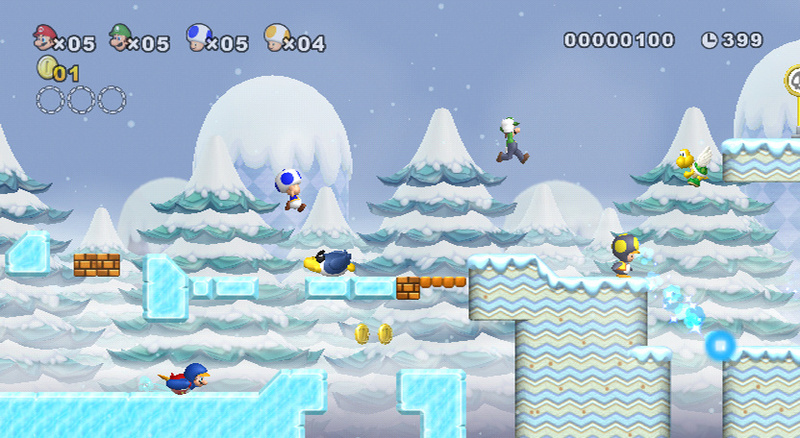 New Super Mario Bros. Wii combines classic platform gaming and the power of Wii to create a brand new experience that's fun to play alone or with friends and family. 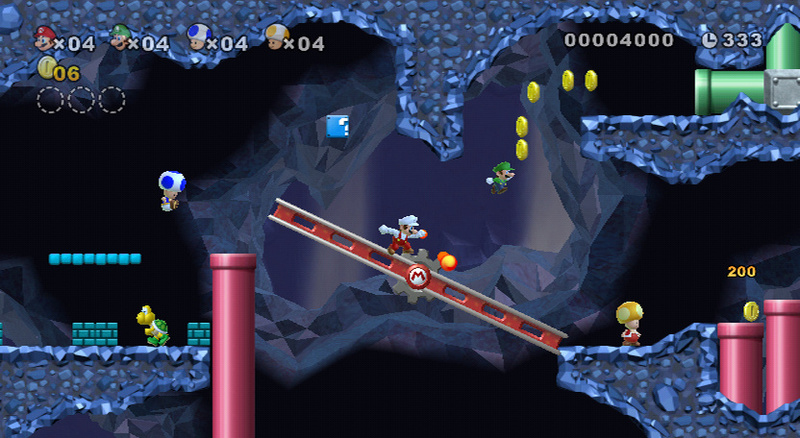 Lead Mario through worlds of adventure using the Wii Remote, and opt to save Princess Peach all by yourself or with a little help from your friends. 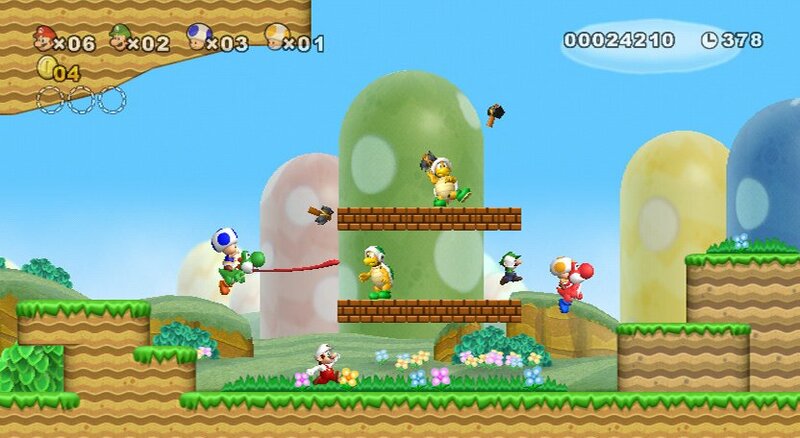 New Super Mario Bros. Wii enables up to four players to get in on the action at the same time – creating chaos as you either work as a team or attempt to get ahead by being the first to hitch a ride on Yoshi, grab precious Power-Ups and generally look out for number one! Instant buy. No matter what. Don't need screenshots. Looks like it's a lot of fun, finally Nintendo is giving us what we want, next up a Zelda game for the Wii! I just realized something when thinking about this game, and Zelda, where the blimey heck is Four Swords Wii/Ware? Plus, I wonder if you could change to other characters, in particular with the Toads. Would of been very nice if it had the cast from SMB2 (Of course it would mean Toad but it would add Peach). hmmm,...4 PLAYERS??? LOCAL!!!!!!!!!!???? ?HMMMMM....can i get a HECCCCCCKKK YAAAAAAA!!!! Insta-buy, I agree!!!!!!! Can't wait!!!!!!!! 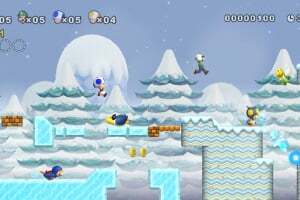 Okay, I got to know where in the world I am hearing that this game is going to have 80 stages. If it ain't from the words from a well known developer of this title, then I call bull. This WILL be the GREATEST Mario game EVER!!!!!!!!!!!!!! Must-buy indeed. Looks like the next big seller. It had better be a typo that it's coming out in 2010 or else! I already have to wait for Mario Galaxy 2! C'mon Nintendo; 2009 releases please! I bet this sells better than Super Mario Galaxy 2. I can't wait for this game! I'm probably going to get this over Galaxy 2. 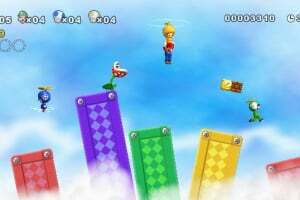 I've always preferred 2D over 3D for platformers, and it'll be great to see a 2D platformer with all the power of a current generation console behind it. 4 player co op?! 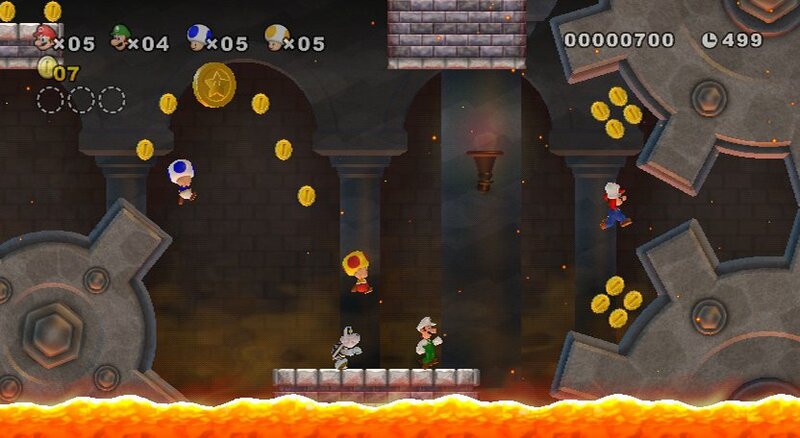 This will be one of the best mario games ever, and it also has yoshi in it too. Had the chance to play this at fhe Gamescom today in four player co-op. Plays very nice, the new propeller suit is a cool feature. I also liked the look very much. Nintendo hasn't overdone it by changing just enough to improve, but not too much, to make it hard to recognise it as SMB right away. so geting it nomatter wat peeps say its mine! This is a must buy for me. I can not wait for this game to come out. If only I had a time machine, or worked for Nintendo. Everyone (and their mama..lol) will buy this game. I can't wait! I'm also going to buy it. And I heard there will be something called Demo-play for rookie gamers, it allows you to skip hard parts of the game. I love all Mario Brothers games and I already told my wife that I want it for Christmas and to go ahead and pre order it. I can't wait! What a cool looking game! I'm a long-time 2D Mario fan. My first 2D Mario game I bought was on my old Gameboy Color back in the '90s. But unfortunately, my Gameboy and my Deluxe cartridge was completely gone and empty. 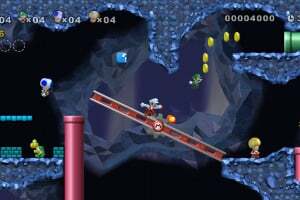 When I also got a Wii back in October 2008 (along with Super Mario Galaxy, Wii Sports and Mario Kart Wii), I decide that I want to get Super Mario Bros. 1, 2, 3, The Lost Levels and Super Mario World for the Virtual Console. I played them to death on my Wii, and I was getting better and better when I go throughout them. 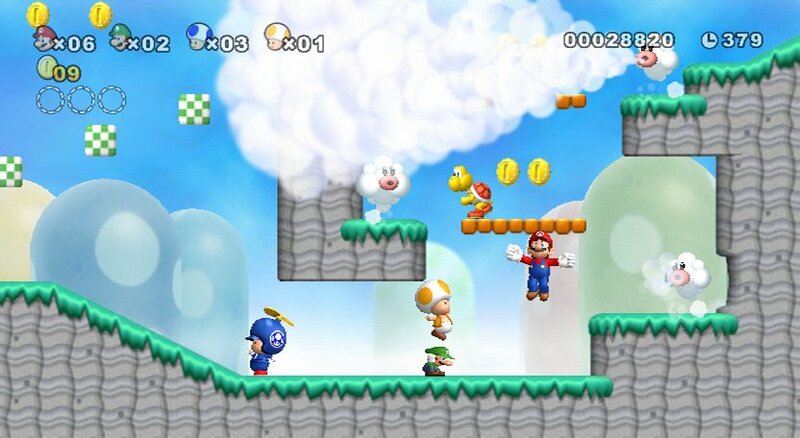 Also, I bought New Super Mario Bros. for my DS back in middle of 2008, played it and loved it! And now I'm looking forward to this awesome game on the Wii! This is definitely gonna be a 100% Nintendo masterpiece! So when it comes out, BUY IT!!!!!! I really wanna get the game. I have it for Nintendo DS and now, it's comming out for wii! Looks like a must-buy for me, unfortunately. Aw this looks just great. The level design already looks good, and partly because they did something very, very smart: Pulled the point of view way out from the character so more can go on in the screen and the stage and it doesn't feel cramped. Cool! can't wait for this. should be great larfs. Come on Miyamoto! 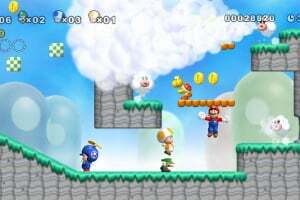 Make the game alot harder, more harder than any other 2D Mario! 96% in ONM. A whole new game, not an enhanced version of the DS game. Essential by the sounds of it. very excited! probably be my new Smash for quite sometime. Super Mario World 3, here we go! Can't wait to be Luigi! I would ask for this for my birthday, but it comes out on my birthday! The 8th was my b-day, so I asked for money. Already pre-ordered. 2 Days until the North-American release. 7 Days until the European release. IGN gave it a 8.9, MW2 a 9.5. I am kinda pissed off. I have no idea why but GameSpot gave this an 8.5 score. Maybe it's because they don't know alot about it? wow... This game is FUN!!!! This game is a blast, but so blasted hard! I love it! It's a killer platformer straight out of the golden age. 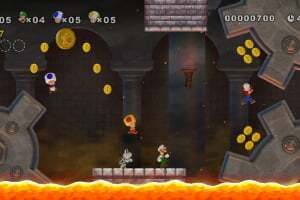 It takes the best parts of everything from the Mario series (and maybe a little bit from Chip and Dale's Rescue Rangers for NES), adds some tweaks and twists, and just makes for one hell of a great time. Still have yet to try it with 4 player maddness, but 2 players is an incredible challenge. 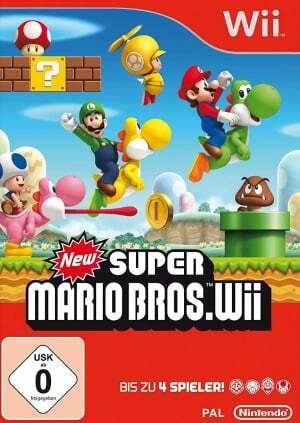 I've got New Super Mario Bros. for the DS, but I'll probably cave and get this eventually. I agree with 49.90`s Gamer,It`s gong to be AWESOME!!!!!!!!!!!!!!!!!!!!!!!!! 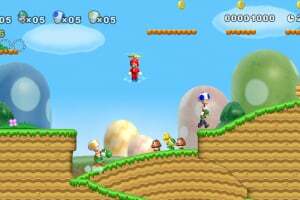 Best 2D Mario game ever so far, it certainly deserves a 10. I love this game I gave it a 10 out of 10. I rented da game from BlockBuster and I want it!! WOW! I thought I would walk into W*LM*RT and say "NEW SUPER MARIO...." and I was shut down!!! SOLD OUT!!!! This was a week+ ago; the week prior to that there were 10 copies collecting dust! One thing to say...........DEFINITELY WORTH BUYING!!!!! 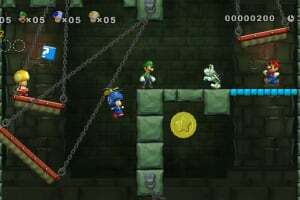 I have just received this game, though very good, but very similar to its DS counterpart, and it also has some Super Mario Bros. 3 elements in there as well, like battling some enemies that appear on the screen and toad house minigames that you play for items and 1-ups, plus the Kooplings from SMB 3 are also in this game, which they really need a major comeback (and I am not talking about M&L). But overall good, I recommend this to anybody. I prefer the title "New Super Mario Bros. Wii". The music in this game SUKS! I made up a character to be the 3rd player character in the next 4 player Mario instead of a second nameless toad. Look at my profile picture and you will see the character i made named Antonio. Look at the picture and read the bio of him and tell me wahat you think. @wariothestario I agree. Some or few of the music in this game isn't as good as the older themes. But overall, great game. 10/10. 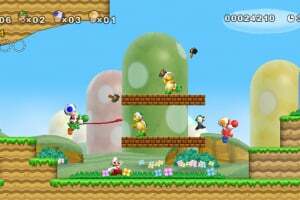 I wish they would add Yoshi in some levels, and you will be able to take him anywhere you want. The more I play this game, the more I love it. YouTube comments really make me sick with full of trolls, profanity, spammers, and even very poor spelling. If you hate YouTube like me then stay away from it. I agree with Dragoon. This game is a blast. Multiplayer can be frustrating because if you're jumping on each other and about to fall into a pit. I can play this game for hours and hours. It will keep you entertained. Possibly the best co-op game ever made. The reason why the title says "New" is because the graphics are well updated. People who thinks it isn't new probably it's because there blind about the graphics. For me, it is new. 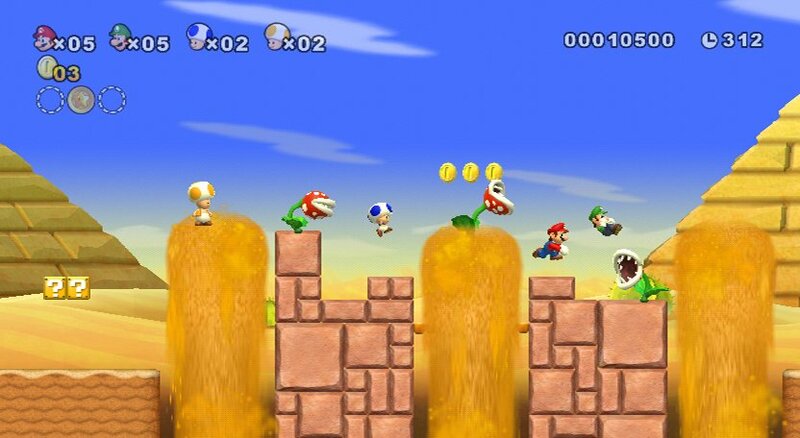 Mario never gets boring, in 2D form. And like I said before, the game is NOT short and easy. 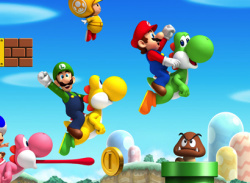 The reviewers believed this to feel more like SMW because of Yoshi. 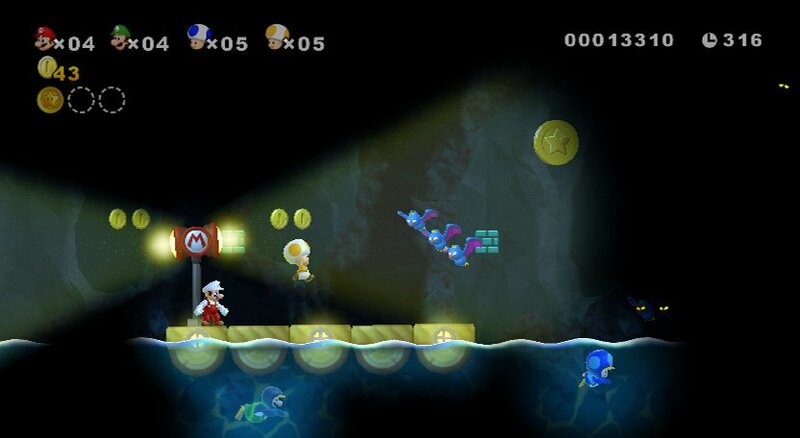 Really, this is even more like SMB3 because of the inventory window. Critics only play the first few levels. 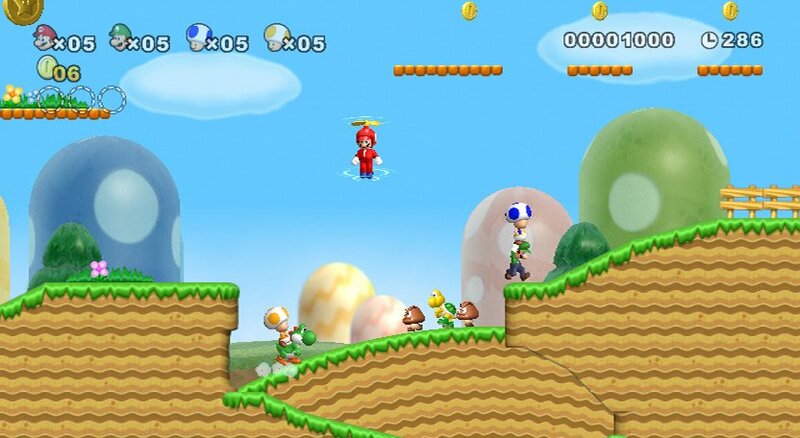 No seriously, best Mario game ever. I like the game but I'm on a annoying level Argh!!!!!!!!!!!!!!!!!!!!!!!!!!!!! i've beat the first nsmb on the ds 3 times. One year later, this game still rocks! 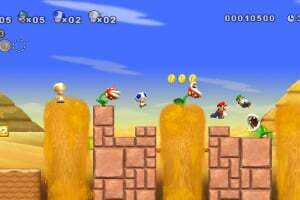 In fact, I think this is the best multiplayer experience on the Wii! If you haven't checked this game out yet, please do, especially if you have three friends and a love for Mario. If you don't own a Wii, please consider the red Wii bundle that comes packaged with this game FOR FREE! You won't regret it. This game would have been even better if they gave us the option of playing it online, and making it compatible with Wii-Speak. Some gamers don't have a large number of people around the house for offline multiplayer action, so it would have been cool to be able to game and yack it up with friends online. I played this game before. But I'm wondering why is'nt there the Mega Mushroom and Blue Shell? can't wait 2 buy it but...... WHY PEACH, NOT DAISY ETC..??????????? 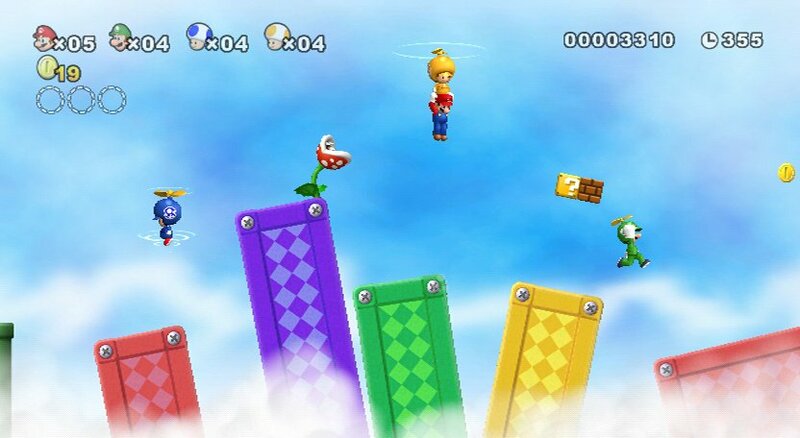 Harder than new super mario bros u, definitely. This game was great before. Will buy for sure. really x1,000,000 want thod game. 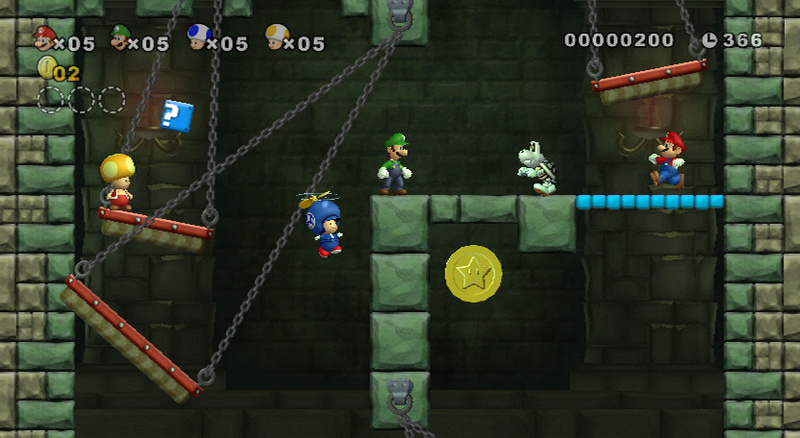 it is so better than new super mario bros. 2. it has two of the same bosses on each world. 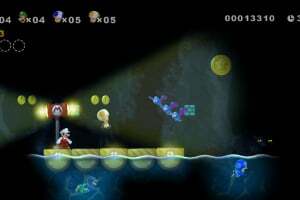 more platforms more enemies than the secound one and a better and harder bowser battle.ps that 2nd one was so the 1st.